Schlock-Wire: 2 Classic Ken Hensley Solo Albums Reissued By Esoteric! – Schlockmania! Schlock-Wire: 2 Classic Ken Hensley Solo Albums Reissued By Esoteric! 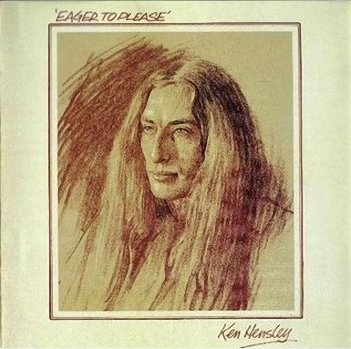 Here are descriptions and track listings for forthcoming reissues of two vintage solo albums (1973 and 1975, respectively) by Ken Hensley, who was keyboardist, second vocalist and main songwriter for Uriah Heep during their golden 1970’s era. Your Humble Reviewer has been a fan of these albums for years because they are like singer-songwriter albums for people accustomed the heightened dynamics and emotional intensity of vintage hard rock. The Eager To Please reissue is particularly exciting because it adds a long-lost b-side to its track list. Released on 22/02/10. Esoteric Recordings are pleased to announce the release of a newly remastered edition of Ken Hensley’s first solo album. Recorded in 1973 and originally released on the Bronze label, Proud Words on a Dusty Shelf featured Uriah Heep bassist Gary Thain and drummer Lee Kerslake. The resulting album was equal to anything recorded by Uriah Heep at their peak and features wonderful material such as Cold Autumn Sunday, Black Hearted Lady and Go Down, along with a version of Rain (also recorded by Uriah Heep). Released on 22/02/10. A release of a newly re-mastered edition of KEN HENSLEY’s second solo album. 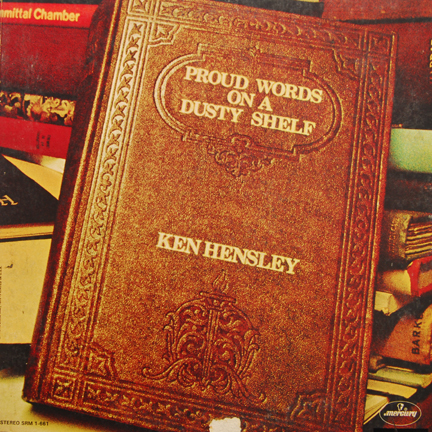 Recorded in 1975 and originally released on the Bronze label, Eager to Please was Hensley’s solo follow up to Proud Words on a Dusty Shelf. The resulting album was equal to anything recorded by URIAH HEEP at their peak and features wonderful material such as Through the Eyes of a Child, Secret , The House on the Hill and Winter or Summer. This reissue adds the single track Who Will Sing for You as a bonus track and joins Hensley’s 1973 solo offering Proud Words on a Dusty Shelf , also released this month, as Esoteric’s overview of Hensley’s Bronze solo albums. Previous ArticleSchlock-Wire: John Carpenter and Kurt Russell’s ELVIS miniseries coming to DVD! Schlock-Wire: Esoteric Recordings Apr/May Release Slate – Jade Warrior, Flash & Krautrock Galore!